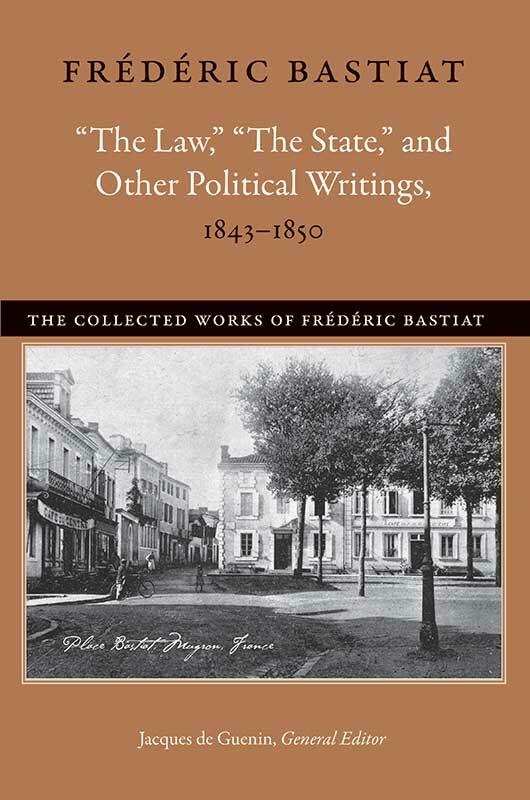 “The Law,” “The State,” and Other Political Writings, 1843–1850, collects nineteen of Bastiat’s “pamphlets,” or articles, ranging from the theory of value and rent, public choice and collective action, government intervention and regulation, the balance of trade, education, and trade unions to price controls, capital and growth, and taxation. Many of these are topics still relevant and debated today. In addition, this edition also contains footnotes and glossary entries that help explain the political, economic, and intellectual context in which Bastiat lived and worked. Filling gaps on Bastiat and his philosophy, this volume features articles that have never before been translated in English. Frédéric Bastiat (1801–1850) was one of the leading advocates of free markets and free trade in the mid-nineteenth century. Pascal Salin is Emeritus Professor of Economics, Paris University, and former president of the Mont Pelerin Society. He is the author of Libéralisme; Français, n’ayez pas peur du libéralism; and Revenir au capitalisme, pour éviter les crises. Jacques de Guenin is founder of the Cercle Frédéric Bastiat. He is a graduate of the École des Mines in Paris and holds a Master of Sciences from the University of California, Berkeley. Dennis O’Keeffe is Professor of Social Science at the University of Buckingham, Buckingham, England, and is Senior Research Fellow in Education at the Institute of Economic Affairs, London. David M. Hart has a Ph.D. in history from King’s College, Cambridge, and is the Director of Liberty Fund’s Online Library of Liberty. General editor's note, note on the translation, note on the editions of the OEuvres complètes, introduction, chronology, maps, glossaries, annotations, bibliographical note on the works cited in this volume, bibliography, index.